December marked the World Human Rights Day. The Iranian regime, however, continued to issue cruel sentences and impose inhuman punishments, including public executions, implementing flogging sentences, fabricating new charges against political prisoners, suppressing religious minorities and widespread arrests. The United Nations General Assembly adopted its 64th resolution on Tuesday, December 19, against violations of human right in Iran. UN General Assembly adopted its 64th resolution on Tuesday, December 19, against violations of human right in Iran. By a recorded vote of 81 in favor, 30 against, and 70 abstentions, the Assembly adopted its resolution on the “Situation of human rights in Iran”. The Assembly expressed serious concern over use of the death penalty and urged Iran to eliminate all discrimination and rights violations against women and girls. Iran however reacted the resolution with more executions and hanged at least ten prisoners on December 19th and 20th. Seven of these individuals were mass executed in Gohardasht Prison of Karaj, west of Tehran. Ignoring widespread international opposition, the Iranian Supreme Court upheld the death sentence of prominent academic Ahmadreza Jalali. Dabir Darya Beigi, Jalali’s lawyer, received the verdict for the death sentence on Sunday December 10. Reacting the Judiciary Spokesman’s remarks over the illegality of interrogation and extract confessions after issuing the verdict, a number of prisoners revealed that they had been tortured in solitary confinements while being sentenced and serving their prison terms. Iran Hum Rights Monitor recorded 30 executions from which three were carried out in public. For of those executed were charged with theft. Coinciding with the 64th United Nations resolution condemning human rights violations in Iran, the mullahs’ regime hanged at least ten prisoners on December 19th and 20th. Seven of these individuals were mass executed in Gohardasht Prison of Karaj, west of Tehran. At least five of those hanged were youths. 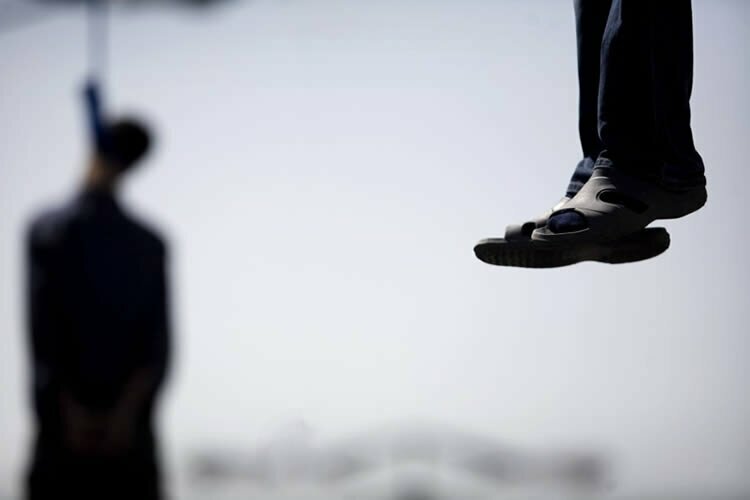 Three youths, two of which were 21 years of age, were executed in Gohardasht Prison on December 19th for “armed robbery from supermarkets.” On the same day a 24-year-old youth from Iran’s Baluchistan was hanged in Zahedan Central Prison, southeast Iran, after enduring five years behind bars. The day before that another young individual was hanged in Zanjan Central Prison, northwest Iran, after enduring six years in prison. In addition to implementing death sentences, issuing death sentences and violation the right to life continued. The Supreme Court upheld a death sentence issued for a high-school student. He was only 15 at the time of his alleged crime and has been held behind bars for three years now. Three days prior to this case a young woman, being the mother of a four-year-old child, was also sentenced to death. Fifteen members of a drug-trafficking gang were tried in the 2nd Branch of the Karaj Revolutionary Court. Fourteen of the group members were sentenced to death. The Iranian Supreme Court also upheld the death sentence of Iranian academic Ahmad Reza Jalali despite widespread international opposition. Dabir Darya Beigi, Jalali’s lawyer, received the verdict for the death sentence on Sunday December 10. Iran Human Rights monitor registered seven arbitrary murders. At 1 am on December 16, security forces in Bitush Village in Sardasht, targeted a group of Kurdish merchants, killing two young men, identified as 20-year-old Osman Ahmadi and 22-year-old Mohammad Bahrami, father of a 2.5-year-old girl. Three ordinary people were killed by a mine blast on December 3, in Mehran, in western Ilam Province. Iranian officials had previously announced that all mines are cleared, the area is now safe and people can use it without worrying about the weapons. A prisoner identified as Nazer Alizehi, 22, lost his life due to lack of medical treatment in Zahedan Prison. The ailing prisoner had been held two years and a half in Ward 5. According to reports obtained by Iran Human Rights Monitor, at least four people were flogged in December. The state-run Bajestan news agency reported that a man was publicly flogged on December 5, 2017, for getting in a knife fight in Bajestan, situated in the center of Khorasan Razavi Province in north eastern Iran. Iranian authorities also publicly flogged three men for theft on Monday, December 25, 2017, with the State Security Force inflicting lashes on them as hundreds of people watched the punishment ordered by the Revolutionary and Public Court of Dehdasht city, in Kohgiluyeh and Boyer-Ahmad Province, according to the Executive Director for Penal Verdicts at Public and Revolutionary Court of Dehdasht. A Kurd student was sentenced to 50 lashes by the Saqez Penal Court on charges of disrupting public order. An informed source said that Kurd student Zamaneh Zivieh who is studying law at Payame Noor University in Saghez, was arrested on November 6 by security forces at her home following street celebrations in support of the Kurdistan independence referendum. Iran Human Rights Monitor registered 3313 arrests across the country, including 1589 social arrests, 1062 politically motivated arrests, 105 arrests on religious and ethnic grounds and 557 arbitrary arrests. The capital’s Moral Security Police Chief, Zolfaqar Barfar announced the arrests of 230 young men and women on December 21, 2017 in two separate night parties, according to the state-run Tasnim News Agency. More than 1,000 drug addicts were arrested on December 24, 2017, during an operation conducted by the State Security Force in different neighborhoods of Tehran, according to the state-run ISNA news agency. Mental and physical tortures continue to impose on prisoners particularly on political prisoners. In some cases, new charges have been fabricated against political prisoners to prevent their release. Political prisoner Mohammad Saber Malek Raisi went on hunger strike since November 29 while in solitary confinement, protesting the inhuman conditions and tortures he has been enduring in Ardabil Prison. Despite heart disease caused by torture he announced that he is not going to stop the hunger strike until his demands are met. Malek Raisi has suffered from fever and severe pain in his chest since the 22nd day of the strike, but prison authorities have not allowed his hospitalisation outside of Central Ardabil Prison. To conceal the exiled political prisoner’s condition, they also denied his contact with his family. Two months after the banishment of Arash Sadeghi to Gohardasht Prison, he has been denied medical services, apparently on the order of IRGC interrogators. He is suffering from worsening digestive complications due to his 71-day hunger strike, but the authorities do not allow him to hospitalize outside Tehran’s Evin prison. Arash Sadeghi’s family has requested the prosecutor to transfer of their son to a hospital outside the prison. their request however, has been rejected. On Saturday December 2, security forces in Kermanshah stormed the home of a Baha’i citizen identified as Borhan Tabianian and arrested him. On the same day, three Baha’i women, identified as Forouzan Amini, Naghmeh Shadabi and Soheila Shadabi were arrested by agents in Kermanshah. There is no information about the fate of the detainees. Security forces searched the homes of eight converted Christians in Karaj and confiscated their personal and religious belongings. Religious gatherings were being held in two of the homes. Security forces also searched and shut down the businesses of three Christians. Agents arrested four converted Christians identified as Milad Goodarzi, Alireza Nourmohammadi, Shahab Shahi and Amin Khaki in two of the homes. There is no information on their whereabouts. A Baha’i resident of Yazd identified as Hiva Yazdan Mehdi Abadi, was arrested about 20 days ago by security forces. She is in an undetermined state in this city’s prison. According to other reports, there is no information on the fate of Moien Namjouyan, a Baha’i citizen living in Isfahan, who was arrested by security forces on December 13. On the afternoon of December 17, Malayer (west of Iran) municipality agents in Azadi Square, beat a number of fruit vendors in Azadi Square, according to the state-run ISNA news agency. The vendors were injured and taken to hospital. “My brothers and I own several shops in Azadi Square in Malayer,” one of the vendors explained. “Yesterday morning, while I was resting, I noticed that the municipality agents were gathering our fruits”. He said that after protesting, agents clashed with them and beat them with batons. “In the clash, my brother’s leg and head were injured. The baton marks are evident on his body and mine,” he added. Another incident, captured on cell phone video, happened on December 22, 2017, in Mashhad, northeastern Iran, at the corner of Sajjad overpass. In the scene, the municipality agents can be seen, assaulting the vendor who weighs people with his balance. Another shocking video shows the moment a young street vendor was beaten up by municipality agents and the State Security force in Tehran municipality 6th district. The last moments of the attack were captured on video. Watching the footage and seeing the SSF and municipality agents violently pushing the young vendor into their car. The state-run media outlets also reported the incident. Kiana Abdipour a 12-year-old Iranian gymnast girl was summoned to the Disciplinary Committee after her photos were published showing her in gymnastic leotards. “Photos of the presence of an Iranian gymnast girl in a competition hosted by Kuala Lumpur in Malaysia were recently published in which there is no veil or proper cover for this teenage girl. The gymnastic outfit for this athlete is just like the same outfit that non-Muslim athletes wear during the competition,” the state-run Tasnim news agency claimed on December 25.